Virgil tagged along Bimbo while the half-ogre rummaged through pockets of the other former passengers. He found some cash and items, which he stashed, as one didn't get much money in the pits. After some looting and beating local wildlife, they found themselves in a cave, where a ghost appeared to them, begging them to avenge his death. That sounded like a task like every other to Bimbo, so he agreed, thinking that he could get something out of it. Meet Bimbo, the not so smart. The UI doesn't normally look this, by the way, I'm using custom resolution, but that doesn't affect the size of UI elements. When they arrived at the house of the suspected murderer, the first thing they noticed was a set of gravestones. Inside, an old man greeted them, promising to use only small words so even Bimbo would understand. Happy about that, Bimbo listened to the tale of sorrow on how the ghost dude had murdered old man's wife and kids. Even Bimbo's slow mind thought that was terrible, so he agreed to help the old man instead, as he had lost a valuable family heirloom. So back to the ghost in the cave the two merry companions went. At the cave, Bimbo said outright, that he had talked to the old man, and he needed to know where the ghosts partner was. He wouldn't tell at first, but then his slow mind decided to utter the words, that he would help the ghost to be free. For some reason, the ghost man believed Bimbo and told the location of his friend. You stupid, Bimbo gloated and left to the other guy, where he threatened to beat him to a pulp if the pendant wouldn't appear to his hand. Bimbo went back to the old man and got some blessings as a gift. After that, he and Virgil went to Shrouded Hills to see Virgil's friend. There Bimbo noticed, that people weren't very happy to see him, as they didn't like half-ogres that much, nor were they very friendly after they noticed that he was dumb as a boot. I could go on really, but the gist of the matter is this: a lot of games claim to have a reactive world, where your character choice mean something, but often it's just superficial, as a lot of things don't really change. In Arcanum they do. If you play as a stupid character, who can barely talk, people will notice. A great many characters, even voiced ones, will say different things to you based on what you are. They can hate you, be unhelpful or flat-out condescending, especially if you play as a moron. And that makes some of the dialogue practically comedy gold, as you're supposed to be a fabled chosen one, but because of low IQ can barely speak. Of course, there can be blunt racism as well, as some people don't react well to other races. Same scene with two different characters. With smarter characters, you get more conversation topics and the people usually speak to you in more length. Some characters try to scam you as well if you aren't a person of normal intelligence. The low IQ doesn't show only on how you interact with people, it has an effect on the quests as well, as there are some quests that need at least average intelligence. The game won't stop you playing though, as there are quests that you don't even have to take, as the quest giver comes to a conclusion that you are just too stupid to pass them, so they just give you what you need, as the prophecy needs to go on. See, you can play the game through no matter what kind of a character you create. It might not always be easy, but you can do it. Best thing is though, that your in-game journal has a taste of it as well, as unlike many other games, the way quests and important things are written down are vastly different. The journal actually feels like it was written by someone who can barely read or write. 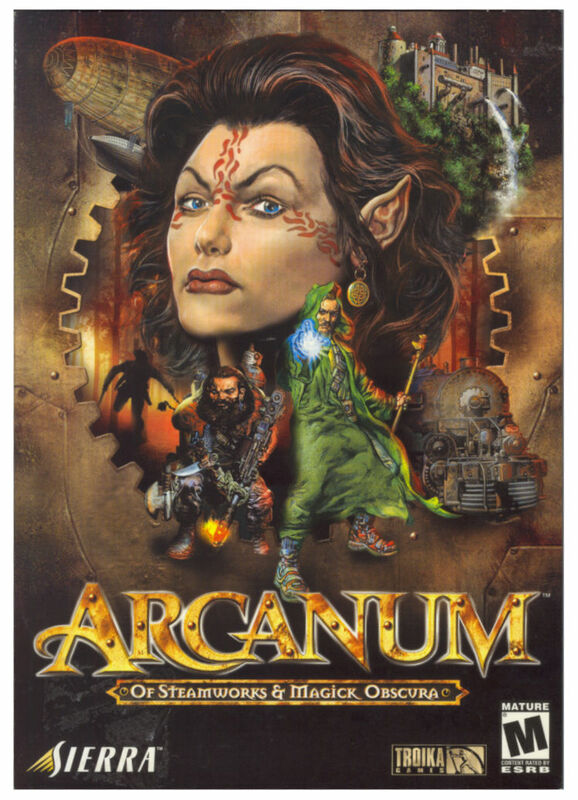 I do believe Arcanum is almost one of a kind in what comes to story and world reactivity towards the character you choose to play as. It goes very far in making a plausible reason why people entrust you the things they do, despite you'd be an unlikeable person or just stupid. And that really does make the game feel like something, where you can roleplay almost anything you want to. 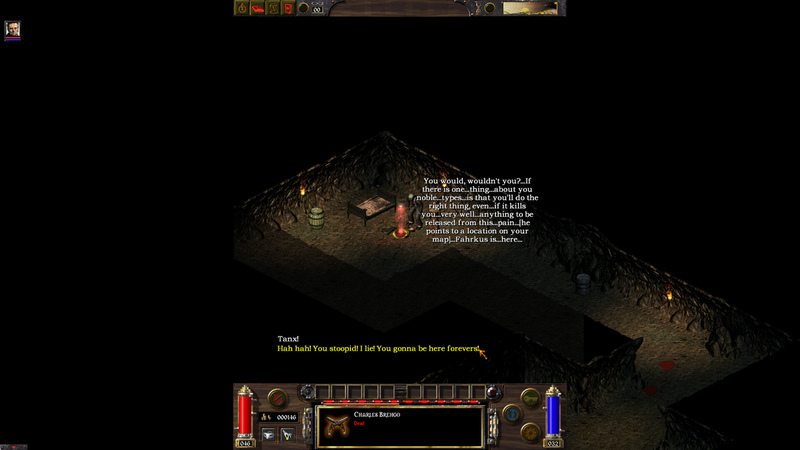 Sadly enough the world of Arcanum is a pretty empty place. While there are towns and villages, they are few and far between. In general, the inhabited places are filled with some pretty interesting stuff as well as your typical RPG fluff, like sewer runs or go there, kill that kind of odd jobs. In that department, Arcanum doesn't really shine, but luckily enough the main story is interesting enough to carry through to the end. 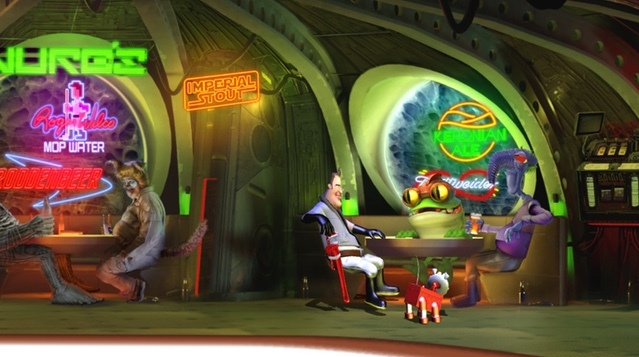 With a character of normal intelligence you get more exposition from Virgil at the beginning, whereas with Bimbo, he just succumbs to the despair of that he needs to be a nanny for the chosen one. Also, playing as a mage who knows Harm-spell right from the start, as that's level one Necromancy spell, feels a bit like a cheat mode. Where melee or tech using characters have to whack critters multiple times, harm spell can kill enemies with one or two hits. Of course, you lose stamina/mana, but on wilderness, you can just rest for an hour to fill it and continue on. Magic, in general, is almost ridiculously overpowered in comparison to technology, as you don't need to manufacture anything, you just need to level up and choose more spells from the list to use. 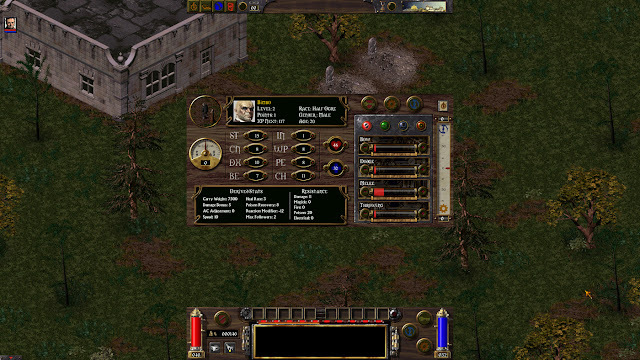 Stamina is another peculiarity of the game, as it also doubles as mana for spells. I'm guessing it's because, with separate gauges for both, magic would be even more overpowered than it's now. But considering the god-like status of a mage, achievable very early on, lugging stamina potions with you is a small price to pay. 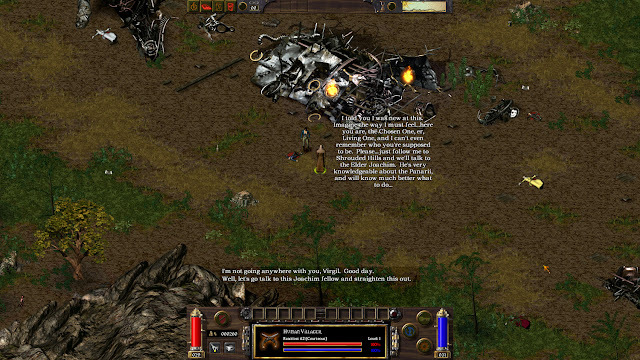 Troika did release Arcanum with modding tools, but again sadly, the modding communities really didn't latch onto Arcanum, most likely because the engine itself is relatively clunky. It does all you'd expect an RPG engine to do, but it's in no way Infinity Engine, which always has felt slicker to me, despite its own set of issues. So, in the end, despite there are tools to mod Arcanum, the large world Arcanum has was left quite barren. 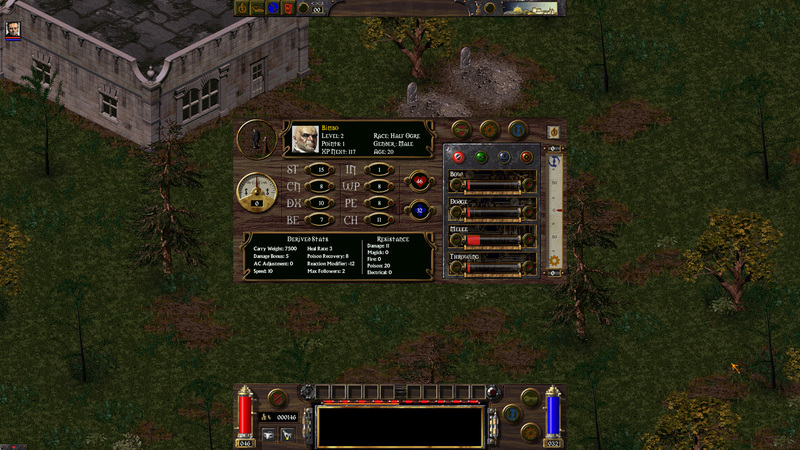 Arcanum really is a game, that had some grand ideas about it. What it does well, it does extremely so, but in many other areas, it's merely so and so. In many ways, it feels like a game, that could have used a couple of more months in development, as it's too easy to see the rough edges it has. But still, as I said, I love it. It might not be THE greatest RPG out there, but it's something I'd recommend people to play through at least twice none the less. Once with a character with proper intelligence, once as an imbecile, as that really makes the extraordinary lengths of the story adaptability shine. You can get Arcanum from GOG or Steam if you want to give it a spin. Just thinking Arcanum enchanced edition or remake would be superb. Arcanum 20 years special edition in year 2021? 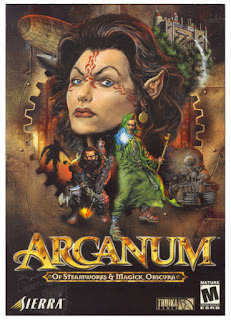 Or even Arcanum 2. 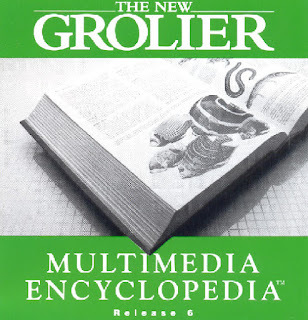 But perhaps there's some copy right problems. It would be nice to see more stuff set in the world, that's for sure. I recall there were some rumours way back that a sequel or another game could be possible, but at least for now, nothing has come of that. A proper remaster would be nice as well, especially if they'd fix some of the issues I had with the game. Especially the overpowered magic is something of glaring issues when you compare it to technology.